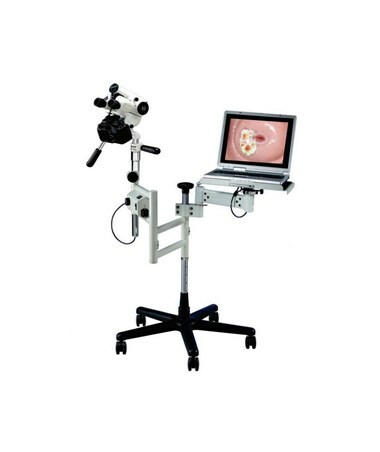 The Wallach Surgical Leisegang OptiK Model 2 Photo/Video Colposcope is a high-quality and state-of-the-art medical instrument designed for doctors or medical personnel to have a more detailed and closer look at a patient's cervix to find any abnormal cells that may turn into cancer. Technological and Functional Epitome. 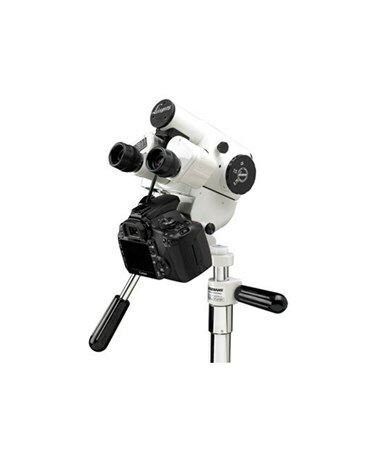 With over 60 years of experience in colposcope design and production, the Leisegang OptiK Model 2 Photo/Video Colposcope is recognized worldwide for high precision, optimal clarity and ensured durability for digital colposcopy. The Colposcope offers the highest intensity LED with 24,000 Lux on the market today equipped with the best, precise and unparalleled German optics for enhanced clarity and contrast. Exceptional Optics. 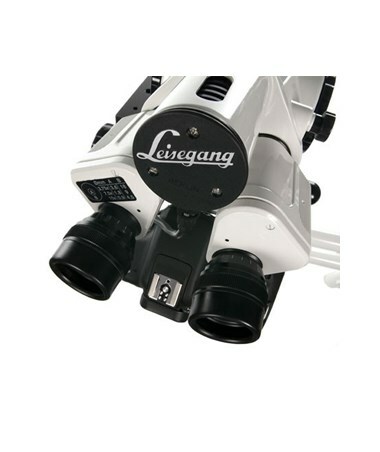 With specially-selected and hand-polished glass optics, the Leisegang OptiK Model 2 Photo/Video Colposcope uses minimal internal mirrors to allow maximum light exposure. 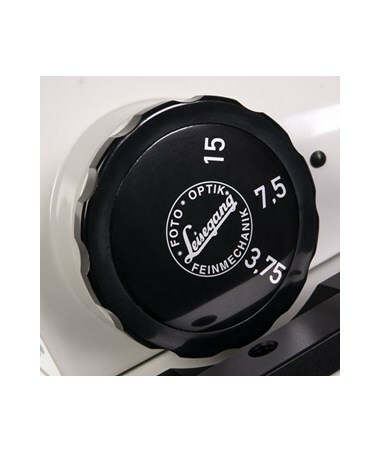 Small apertures provide the greatest depth-of-field for unsurpassed clarity and accurate manufacturing ensures par focal magnification for a dynamic range of detail. This means it will stay focused on a region of interest throughout the 3-step magnification. The greatly-designed optics mimic the human eye and reduce eye fatigue by providing a convergent optical pathway. Brighter and Energy-Efficient Lights. Transmitting 2.5x more luminance than halogen, the Leisegang OptiK Model 2 Photo/Video Colposcope offers greater visibility of cellular and vascular changes and is considered the brightest LED light on the market today. In terms of stereoscopic 3-D visualization and matching daylight color temperature, the OptiK Model 2 outperforms other LED-lighted colposcopes and delivers a more stable color spectrum. It ensures medical personnel highly improved contrast balance, better clarity and less shadowing for unsurpassed anatomy visualization. 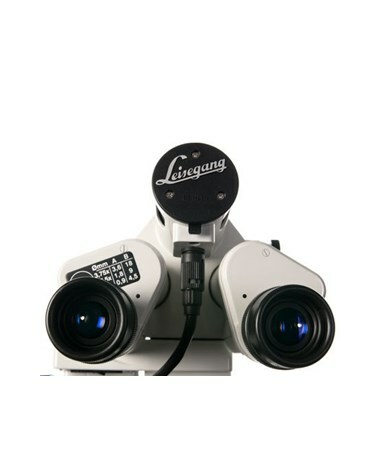 The Colposcope's LED has a power input of 16W only with a light efficiency of 25%. It also has a working life of 20,000 hours or about 20 years of service. High-quality Digital Images. 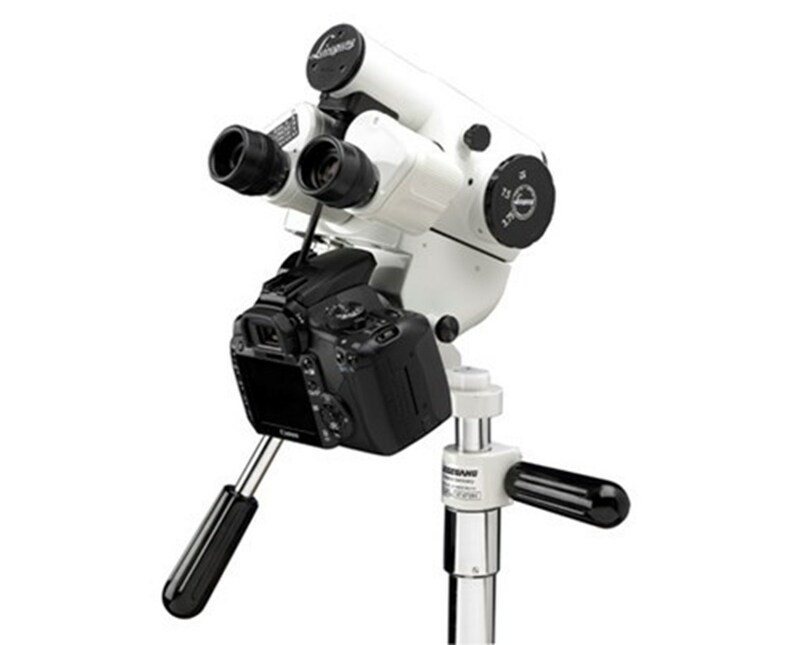 With an option to have the high-quality 18-megapixel Canon 600D T3i DSLR camera incorporated, the Leisegang OptiK Model 2 Photo/Video Colposcope provides medical professionals and patients excellent colposcopic picture quality for digital documentation. The unique adjusting display of the camera allows for greater flexibility in any hospital or medical facility. These images can be downloaded directly or incorporated into our CerviPATH™ or ImageQUEST patient management systems. Tiger Medical offers a 30 day return policy from date of shipment for this product, subject to a 25% restocking fee, in addition to the return shipping charges. The product must be in brand new condition and in its original packaging. We take the responsibility to make sure this product arrives in brand new working condition. Should your item arrive damaged, we will replace the product at no cost to you.